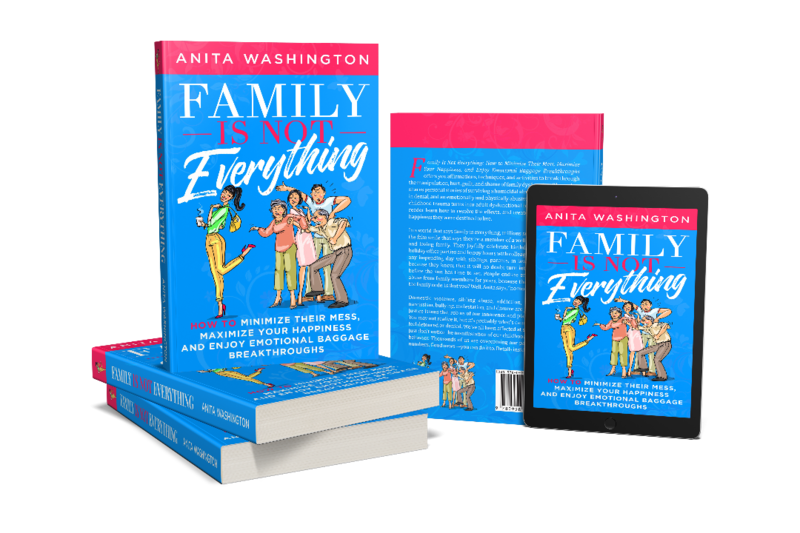 BPM: It is such a pleasure to have you join us to discuss, your latest book, Family Is Not Everything. Describe yourself in three words. I coach women on how to create the life they secretly crave. 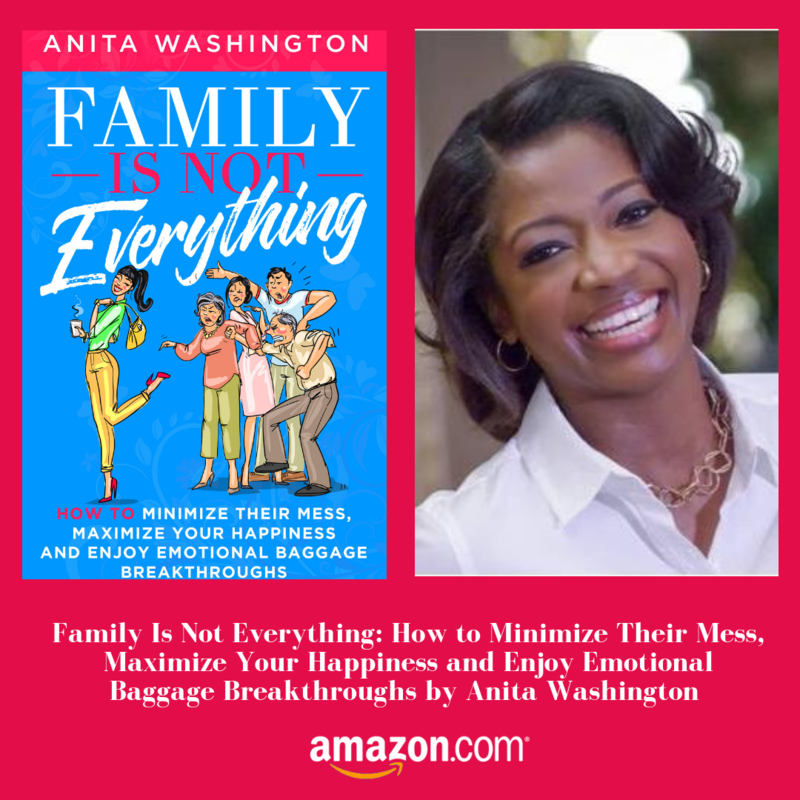 I also host a podcast titled, The Emotional Happiness Podcast with That Anita Live and I host a local television show called, That Anita Live. Yes, right now I’m editing two devotionals and a journal I want to share with my tribe. I’d like to offer more of the inspiration and motivation that helped me accomplish big things in my life. I love Twitter and Instagram. Readers can connect with me on either platform and I’m always open to answer questions or respond to comments. BPM: Are you an author that interacts a great deal with your readers? Yes! We have a good time. We tweet each other and I follow them on Instagram and comment on their posts all the time. BPM: How do you balance the professional, personal and spiritual sides of your life, while pursuing your dreams? I compartmentalize time for each area of my life. Each area has a designated time slot and during that time, I’m all in. I live fully in the experience of that moment. BPM: What does the phrase ‘Fail Forward’ mean to you? It means as long as you are in motion, even though you may not be seeing the success you desire, momentum moves you closer to success. BPM: If you could pass on a single piece of advice to authors out there reading this interview, what would it be? Live authentically through the words you write, by being true to yourself and your beliefs. BPM: How do you stay connected with others in your industry? I stay connected through networking. Once a calendar quarter I gather with other authors and life coaches to meet for lunch or dinner and discuss new marketing strategies or to bounce ideas off of each other. We’re suppose to meet for business but we goof off and have a lot of fun. BPM: How can we support you? What’s next for you? Follow me on social media and stay in touch. Give me your feedback on my posts. If you like a post or tweet, like it, but also comment and let me know what you think. I love knowing what readers think of the posts and tweets I share. BPM: Please share ways that our readers can stay connected to you online.